What's New: Cool Classes for the Summertime! 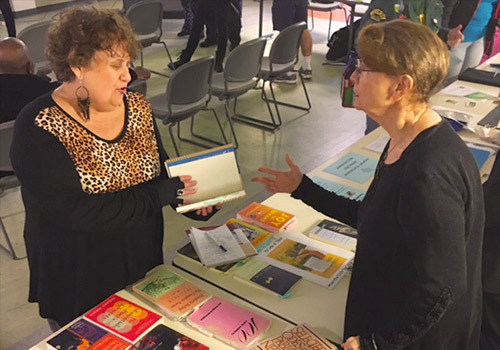 Betzi Richardson teaches two very different disciplines – Meditation and Poetry – at SMC Community Ed, but the main similarity is that she is passionate about both and she has been active in both for long periods of time. "I'm also passing on methods I've learned from my excellent mentors and teachers in both fields," she says. "I also give out a lot of handouts for both classes." She adds, "For the poetry class, I emphasize reading poetry. Lots of people want to write their own poems and that's understandably exciting and motivating, so the fact that I also bring in poems from a wide range of established poets that we discuss in class seems to help give people a broader perspective and greater depth for their own writing. From the poems I bring, I'll make a suggested 'homework assignment.' It's entirely optional—no one has to do it or follow my suggestion too closely. We read everyone's homework first thing in class, and over the six weeks of the class we give everyone who wants one an in-depth workshop of one of their poems, as if we're editors for a small press literary journal, to provide insight into publishing and what's expected if you want to publish your poems. "For the meditation class, the most important part of it is that I strive for us to meditate for an hour each class, broken up into five separate 12-minute meditations," she says. "It's very easy to think about and talk a lot about meditation, but it's much better to actually do it! To have the experience! I provide a smorgasbord of techniques, starting with basic breath and various body meditations on the first night and then each class builds on the next. I cover all the basics, from breath to walking and eating meditations and a lot more." 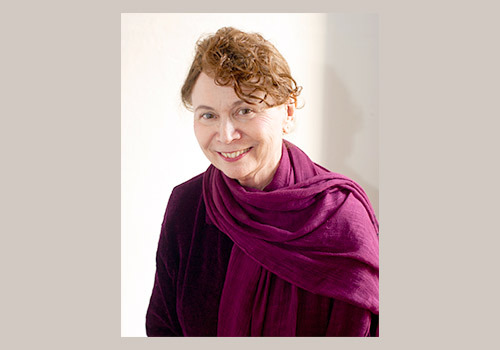 Richardson has studied Mindfulness Meditation with Shinzen Young since 1995. She has also studied meditation with other outstanding teachers such as Trudy Goodman, Jason Siff, Jim Finley and Leigh Brasington. She has been a Mindfulness Meditation Facilitator for Shinzen Young since 2001, and has taught numerous daylong meditation classes. She is a poet published in notable journals such as The Antioch Review, and has studied poetry with prominent poets including Eavan Boland, Edward Hirsch, Stephen Yenser and David St. John. She has been teaching poetry since 2000 at Beyond Baroque and since 2003 at SMC Community Ed. 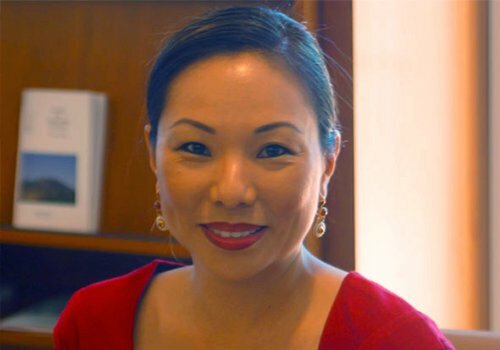 She has a Masters in English with a Creative Writing emphasis from Loyola Marymount University, and is a member of the honor society, Alpha Sigma Nu. She has published a beautifully designed, handmade chapbook, This Desert Inclination, through a Los Angeles small press, Conflux Press. 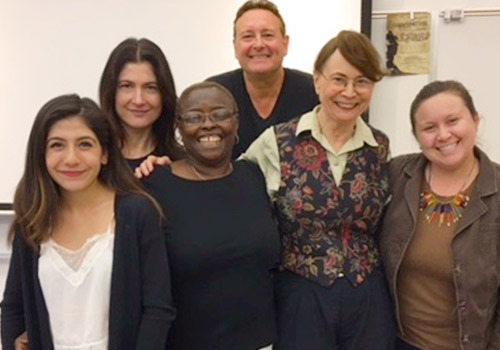 What do you like about teaching Meditation and Poetry at SMC Community Education? The students! I am continually delighted with the wonderful people who take my classes. A tremendous variety! Intelligent, fascinating people from Santa Monica natives to people from all over the world. I truly am humbled by many of the people I have met through the classes and honored to be able to facilitate their educational interests and explorations. My favorite contemporary poet is Kaveh Akbar, an Iranian-American poet who writes brilliantly about being Muslim and his struggles with and recovery from alcoholism. My favorite post-WWII American poets are Elizabeth Bishop, John Ashbery, and Lucille Clifton; from Britain, Stevie Smith. The best twentieth-century international poets, especially for lyricism, are the Spanish-speaking poets Federico Garcia Lorca, Pablo Neruda, and Jorge Luis Borges; also, Wislawa Szymborska, the Polish poet who in 1995 was the first woman to win the Nobel Prize for poetry. She is the most brilliant twentieth-century poet intellectually. Emily Dickinson and Walt Whitman are the Yin and Yang of American poetry. I find both to be thrilling in their completely opposite ways. My top four best English-speaking poets of all time, in chronological order, are Chaucer, Shakespeare, John Keats, and William Butler Yeats. In my current class, I'm bringing in a lot of poems by Mary Oliver, as a tribute to her -- a popular and distinguished American poet who just passed away this year in January. Oliver wrote extensively about her love of and her experiences with the natural world. Her style is deceptively simple and accessible, but very strong and deep. As we seem to be living through an era that is coming to be known as the "Sixth-Extinction," her Nature poems will form an indispensable record. I have many, many more "favorite" poets, but these are my current "best of the best." I don't know about perfect, but some of my most happy days have been spent in meditation retreats, primarily at the Mary and Joseph Retreat Center in Palos Verdes. Spending days meditating with friends in a beautiful setting with a grassy lawn, lovely trees and gardens, many flowers, especially roses, a labyrinth to walk, with great stretches of time in silence, with views of the city of Los Angeles, a galaxy on earth of lights at night, and Catalina around the corner, well, that's approaching perfection, as far as I'm concerned. And having delicious meals prepared is a big plus as well! Recently one of my students thanked me for being "a Light!" That made me feel very good, as I hope to share happiness with all, and I think we need to stay focused on the positive as much as possible these days. That's the craziest thing you've ever done? Rock-climbing on Half-Dome with my brother in Yosemite! My older brother got me to take the Outward Bound wilderness survival camps when I was 19, and they teach you to do some very basis rock-climbing, like 300 feet. So a few years later when I met my brother Rob and his friend Tony in Yosemite, he suckered me good. He offered one night to take me on a "real easy" climb the next day, so I imagined that very doable 300 feet, and agreed. It sounded like fun. We left at the crack of dawn and hiked for eight miles (!) to the base of the climb, the snake dike on the back side of Half Dome (just Google it!) I burst into tears as I gazed up at the rock face. Rob had no mercy. He said if I wanted to quit I could walk back to camp by myself, but he and Tony were not going to waste a climbing day. Eight miles! I was afraid there was no way I could do that on my own without getting hopelessly lost. So I had no choice, and somehow I did the climb. Yes, truly it was thrilling at the top, but then there was climbing down the cables and getting back to camp, 13 hours total. Plus Rob had forgotten to bring enough water, so we had to ration it, drinking our water in sips like communion wine. I have a bad habit of reading five or six books simultaneously – in different categories: poetry and meditation of course, but I also like history, science, general interest, art history, and novels. For poetry, I mentioned already I'm reading a lot of Mary Oliver; for meditation: lots of Thich Nhat Hahn, and Looking at Mindfulness, Twenty-five Ways to Live in the Moment Through Art, by Christophe André; for art history: A Generous Vision, the Creative Life of Elaine de Kooning, by Cathy Curtis, a biography of an excellent and underappreciated woman painter in the New York School, overshadowed by her husband Willem de Kooning; for history: The Half Has Never Been Told, Slavery and the Making of American Capitalism, by Edward E. Baptist. Next up for me in general interest: How We Got to Now, Stephen Johnson; in science: Music, the Brain, and Ecstasy, Robert Jourdain; in history again: The Snakehead, An Epic Tale of the Chinatown Underworld and the American Dream, by Patrick Radden Keefe; next novel: The God of Small Things, by Arundhati Roy. I'm an artist, primarily in painting, and my website is www.betzirichardson.com. Betzi Richardson's More Mindfulness Meditation class begins April 17. It's not too late to register! 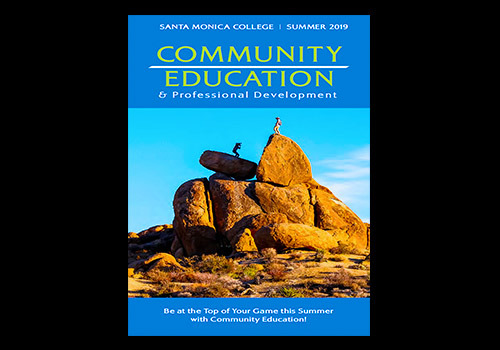 Summer is just around the corner, and there is no better time to take advantage of the cool classes we have scheduled as the Santa Monica temperature begins to heat up! Our Summer Session starts June 17 and you can register online now! We continually offer the most popular classes to our community, and summer is the best time to try out new classes or continue with courses that meet your needs (download a PDF of our Summer Class Schedule). 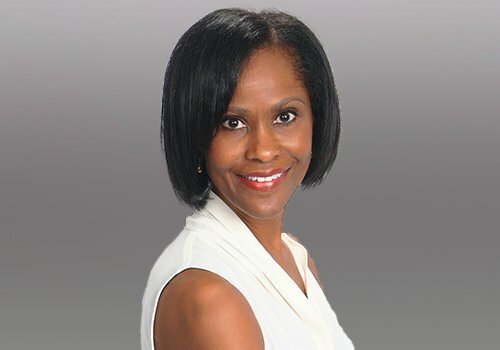 Our new classes include Stress Relief Techniques, Legal Aspects of Business, and Blockchain courses (see Michelle King column in this issue of Sound Bites). Although Blockchain might sound complicated, it's a hot new technology for business that can help your enterprise immeasurably. 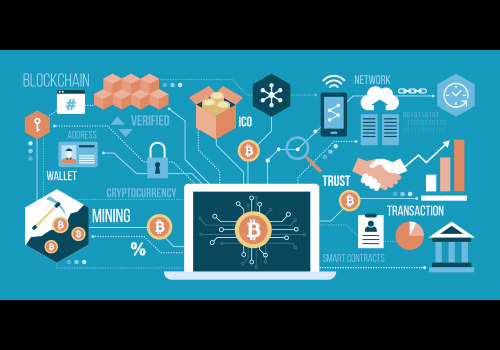 Read the descriptions of these specialized courses to get greater insight into Blockchain. For those interested in jumpstarting their language skills, we have French Pronunciation Workshop, our very popular Beginning Spanish Level I Level II, and Italian for Continuing Students as well as Italian for Travelers, which will get you ready for survival Italian in four compact Thursday classes. All of these wonderful classes are just a sampler of what we have on tap this summer. Remember, you can browse our classes and register online or download the PDF of our Summer Class Schedule. Call (310) 434-3400 or email us at commed@smc.edu for questions or more information. Fifth Annual Photo Contest - Countdown to May 6! 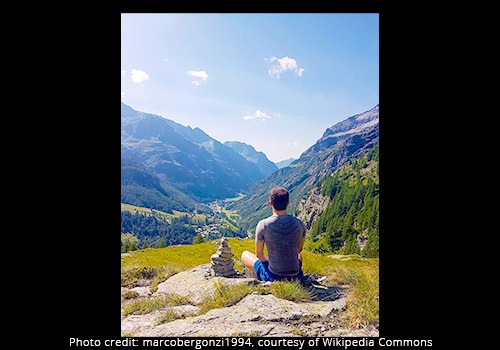 The deadline to enter SMC Community Ed's 2019 Student Photo Contest is noon on Monday, May 6 – less than three weeks away. The contest is open to all current and former Community Ed students. Shortly after the deadline, three rounds of judging will begin, with the third round being a public vote on the top three images. The contest will have a winner and first and second runners-up. The winner's image will be the cover of the Fall 2019 class schedule and will be featured in this newsletter, Sound Bites, and on social media. But even if a photo doesn't make it to the final three does not mean it might not get its way into print. For example, an image by Chad Suggs, which was submitted for the 2018 contest but did not make it to the finals, is the cover of this summer's class schedule. 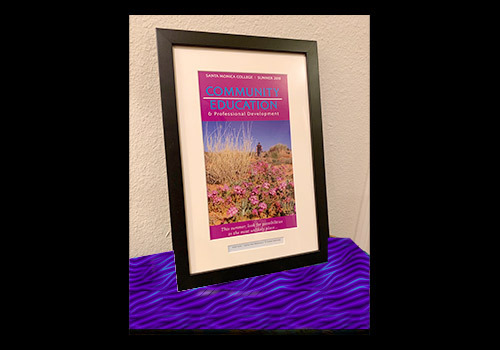 Similarly, an image by Colleen McKinney had been chosen to be the cover of the 2018 summer schedule (and her husband Sean Gehrke surprised his wife by having the cover framed and presented as a birthday gift to her). "We've seen a major transformation of the contest from its modest beginnings five years ago to one in which we are continually blown away by the quality of submissions," said Alice Meyering, Program Coordinator of Community & Contract Education. "I'm proud to say that we are the only community education program in California that offers a photo contest, at least as far as I know," Meyering added. Altogether, the 2018 contest drew 150 submissions from 34 participants. Meyering hopes to increase that this year. The winner of last year's contest was "Sunset at Plateau Point," a stunning image by CatalinaMuñoz Mejia. The first runner-up was David Clancy for his photograph "Rude Boys Rose," and Hai Vu's "Mural Overlooking People in the Crosswalk" was the second runner-up. One of the missions of the SMC Community Education department is to test the community's interest in new technology and/or curriculum. With that goal in mind SMC Extension is offering new learning opportunities in Blockchain Technology. You may ask, "What is Blockchain?" It's technology that allows the development/building of information from similar transactions that are linked together for future reference. 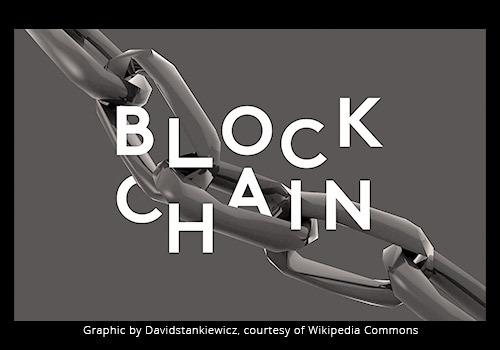 Blockchain technology is best known for being the technology that supported the development of the Bitcoin ecosystem. After much review and some research, I hesitate to claim an in-depth knowledge of the technology and all of its potential applications. 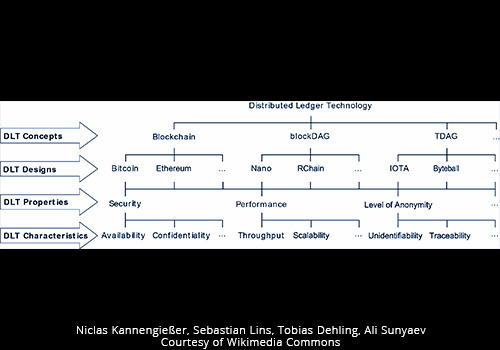 But from what I've been able to gather from reviewing the curriculum of the Blockchain Foundations modules and examining the training that other higher ed institutions are offering, I'm convinced that there is value in offering this curriculum at this time. Visit our award-winning website at http://commed.smc.edu to register for classes online 24/7. Follow us on Facebook, Twitter and other social media outlets for the latest news.